I was feeling kind of bored the other afternoon. My mom had taken the girls for an evening, so I had no babies to play with. And my husband was working late. So it was like the first time I had been alone in–well, like 2 years. And I was bored. BORED?! I guess I could have done the dishes again (yeh, I’d already done them 2 times that day, so nope) or run another load of laundry or even hit the Netflix addiction, but I just wanted a few minutes of quiet. 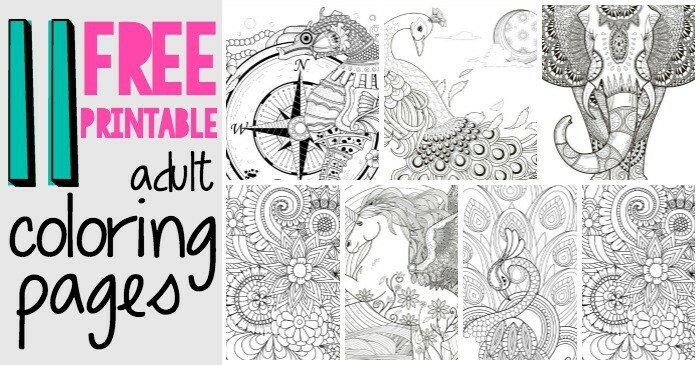 So, I dug around and found these 11 Free Printable Adult Coloring Pages. I had to set up the printer, of course, but it was totally worth it. 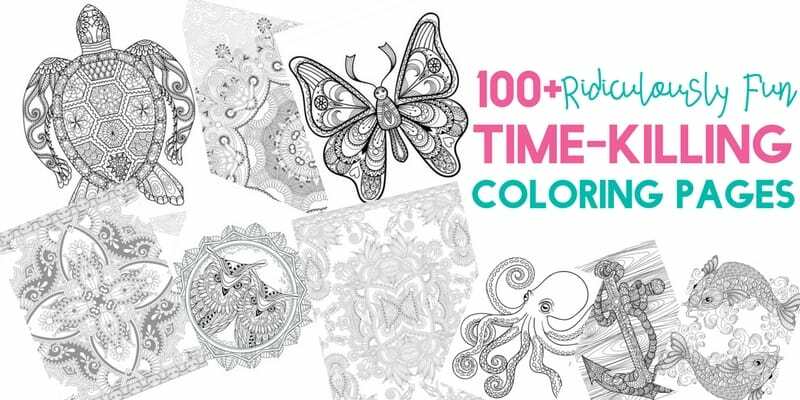 Oh, and I just released a brand new coloring book, 100+ Ridiculously Fun Time-Killing Coloring Pages. (I told y’all, I’m obsessed!) You can check it out here! 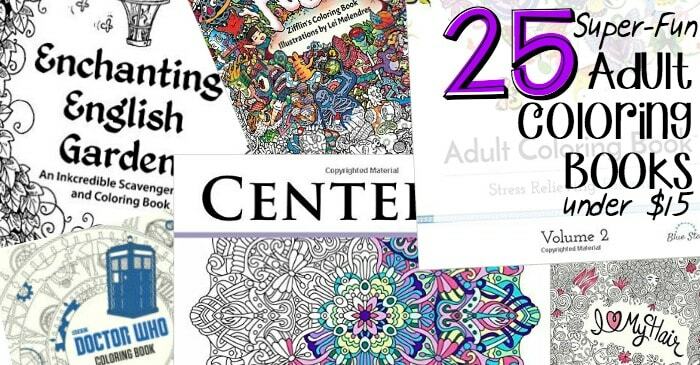 BTW, if you like these, check out my 10 Free Printable Holiday Adult Coloring Pages or these 24 More Free Printable Adult Coloring Pages…hot off the presses, y’all! To get the coloring pages, just scroll through the next 11 pages and download the ones you want! I really hope you enjoy these as much as I did. Very cathartic, even if it did feel a little silly. But silly can be fun. So, you know…do eeeet. And do not forget to pin this bad boy–it’s totally something you need to do right this second, y’all. 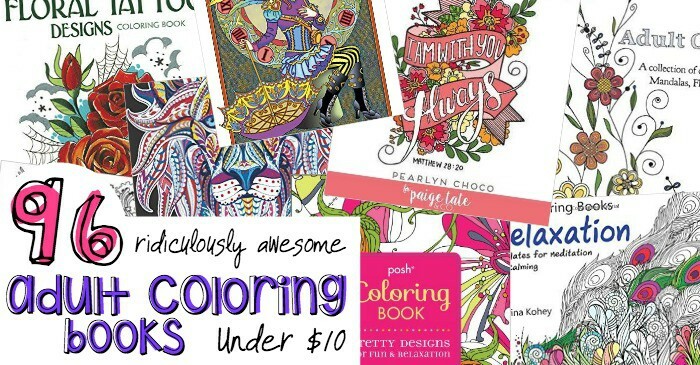 And, if this is just not going to satisfy your strange (yet wonderful) coloring addiction, rush over to check out this awesome set of 25 Super-Fun Adult Coloring Books for under $15 or this set of 96 Ridiculously Awesome Adult Coloring Books Under $10. You will not be disappointed–they’re every bit as nerdy as I can get…heh. Alright, let’s get to the downloading–remember, just click through each page for each pretty printable!